Maleficent, Sykes, Jafar and Frollo. These are my favourite Disney villains of all time. 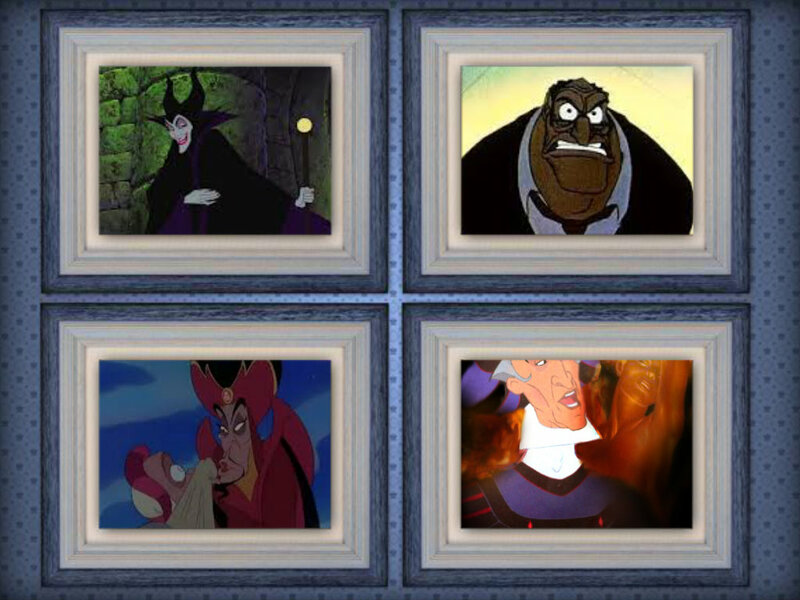 Who's your favourite Disney villain out of them?. HD Wallpaper and background images in the Disney Villains club. This Disney Villains fan art might contain kubadilika kioo dirisha, chumba cha kuchorea, chumba kuchora, sebuleni, ameketi chumba, mbele ya chumba, chumba, kukaa chumba, chumba mbele, and parlor.